We frequently receive calls from homeowners for electrical problems which most people could remedy themselves. At Cooper Electric we do our best to walk our customers through these basic troubleshooting steps over the phone. This eliminates any unnecessay expenses that would have resulted in sending an electrician out to their homes. Knowing these basic situations will help save you money. Electrical Problem: A switch or outlet is warm to the touch, or “sparks”. 1. If sparks are seen when the switch is operated, what happens is, a small spark is generated anytime an electrical connection is made or broken while current is flowing. If the switch is not warm to the touch and is not loose, the small spark is probably normal. 2. Any device being plugged into an outlet, should always be in the “OFF” mode, before plugging in or unplugging the device. CAUTION: Remember that each year in the United States, over 53,333 fires and 400 deaths will result from unsafely modified electrical installations. Have a qualified electrical contractor do you work. Be safe. Electrical Problem: Disposal or dishwasher doesn’t work. 1. Be sure the dishwasher switch is “on”. Consult the owner’s manual for your disposal for clearing “jams” and location of the “Reset” button. Electrical Problem: Circuit breaker/fuse trips or blows immediately! 1. The problem may be in the circuit wiring or in an appliance plugged into the circuit. Unplug everything on the circuit and try to reset the breaker or fuse. If it holds, the problem is probably in one of the appliances. To identify the defective appliance, turn the circuit “OFF”, plug in one appliance, and turn the circuit “ON”. Continue this procedure until the defective appliance shorts out the circuit. CAUTION: Be sure to plug in the appliances with the circuit “OFF”. 2. You’ve replaced the fuse but the power has not been restored. Be sure the new fuse is actually new. THROW AWAY BLOWN FUSES. Be sure the new fuse is screwed in properly and tightly. 3. You FREQUENTLY have one or more circuits blowing a fuse or triping a breaker. CAUTION: DO NOT USE HIGHER AMP FUSES. A qualified electrical contractor should be employed to run a new branch circuit. The National Electrical Code (Sec. 210-23(a)) requires a seperate branch circuit for any appliance which uses more than 50% of the circuits capacity. Circuits supplying motor loads, like an air conditioner compressor, require time delay fuses. 1. Flourescent light fixture doesn’t work after new lamp(bulb) is installed. Double check the installation of the lamp. Did you get both pins on each end of the lamp seated? Caution: Change flourescent lamps with the switch in the OFF position. 2. Incandescent lamps burn out quickly. Are you using name brand lamps? Is the wattage of the lamp correct for the fixture? Using too high a wattage lamp creates more heat which can shorten lamp life and be a fire hazard! 3. Lights flicker, 1/2 power seems to be out. These symptoms generally occur during or after high winds. If your electrical service comes to your home overhead, the power company’s connection at the eave of your house may be the problem. If you’ve eliminated other possible causes, call your power company. Electrical Problem: Wall Outlets (receptacles) are not working. 1. 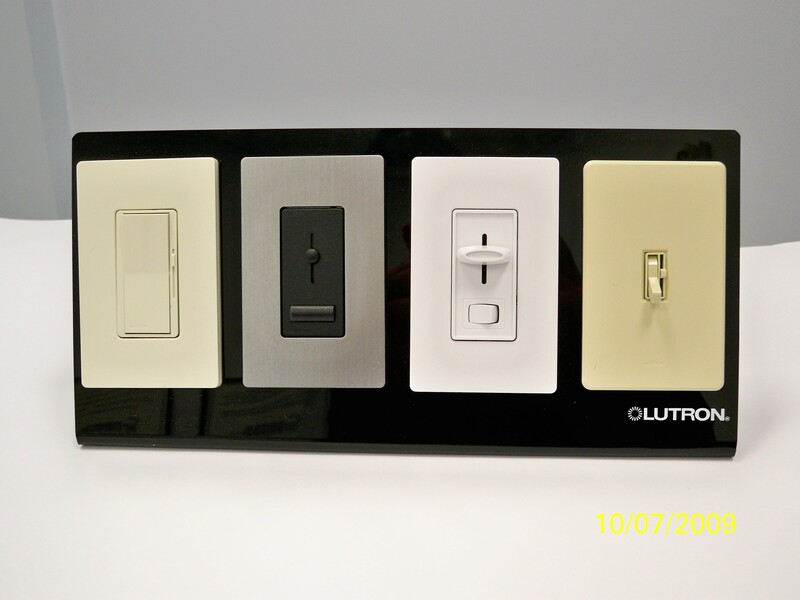 Some outlets are controlled by a wall switch. 2. Has a Ground Fault Circuit Interrupter tripped? 3. Has the circuit breaker tripped or a fuse blown, in your electrical panel? It may be difficult to visually check a tripped circuit breaker. Flip the circuit breaker handle all the way to the “off” position, then all the way to the “on” to reset it. Caution: It might trip immediately if there is a serious problem! John Cooper the founder of our company raised his family on Stout Avenue in Wyoming. His grand daughter recently purchased a home in the neighborhood, and has begun the process of renovating. We were asked by Kevin, John’s son, to look at some electrical projects at her “new” Wyoming residence. As with many older homes there typically is not electricity existing in the ceilings of these homes. Adding wiring for a ceiling fan in a bedroom and adding additional circuits for outlets in other rooms is a typical scope of work for projects that we perform residentially. Modern conveniences of electronics and they way we utilize electricity in homes has changed since homes in Wyoming were built many years ago, but we have experience, working in these types of older homes for a long time now. Gabby’s Cafe, owned by Dino DiStasi, is a nice place to catch a bite to eat, and the Lasagna is second to none. We’ve had them cater our lunches before and it has been excellent.